Tips & Tricks to prevent yourself from being a Spam Mail victim! Home >> Business >> Tips & Tricks to prevent yourself from being a Spam Mail victim! Spam emails are troublesome. Sincerely speaking when trying to check important emails on a daily basis you need to go through heaps of junk platter present in your mailbox. Because of its presence you sometimes miss out some important emails, while in the process of emptying your mailbox, you unfortunately trigger and delete few emails which you are unaware of! Spam is not only annoying but dangerous. 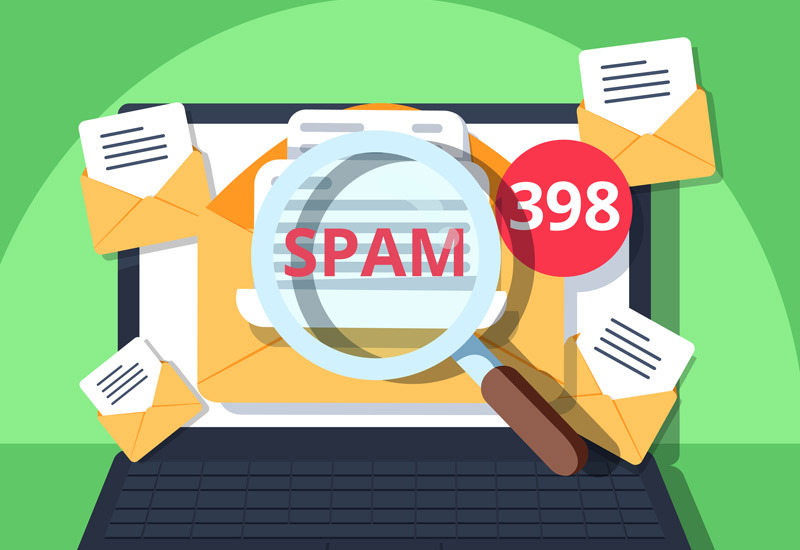 For those who are aware of the “SPAM” emails tend to filter it while those who are unaware of it become a discreet prey of spammers by releasing personal and financial information. Spammers can intensely bombard the victim by sending unlimited numbers of messages directly to their “INBOX”. They have those automated tools which help them to expand the volume of the receivers by meekly gliding the filters. Unsolicited: Recipients do not make a request for the email. Anonymity: The identity and address of the senders are hidden. Mass Mail: Emails are sent to a large group of people. Spam email is a form of “marketing” which is economically viable because of its cost-effective nature. And YES! Spammers yield your mailing address from a public source. When you get a mail from an unknown person don’t reply them back. Carefully examine the name of the sender and their email address. Generally, a professional person doesn’t send emails with unmatched name and email address. In the given example, you can get hold of the sender name “Katrina” but right next to the name you see an untrusted email id huixinsoft105@foxmail.com. Beneath the email content, you again come across a suspicious sender signature “ Yong Neng Industrial”. A legitimate company sends email from their own verified company website. For an instance, PayPal while sending mail will send mail from an address which is somewhat similar to paypal@paypal.com. But if you see some characters before “@” sign or the name just “AVOID” the mail. PayPal never makes use of email to obtain client’s personal information. In the below example the sender is trying to convince the reader that the mail is from AIG Direct. However, a trusted institution will always have their own institution name after “@” sign i.e. aigdirect.com. 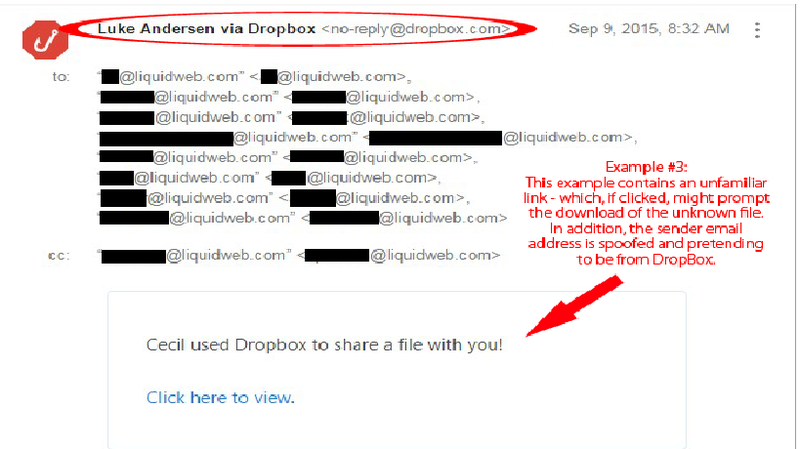 Never ever download any attached files received from an unknown sender. The attachments can be a pile of virus which could destroy your computer storage or a malicious site which could release your private info obtained from your email id. For an instance, dangerous files can be obtained in extensions like .docx in a zipped form. Email content which seems to be too good to be true is in fact extremely dangerous. Too good to be true often revolves around money factor where the sender lures the receiver with a promise to lure heavy amount of money. 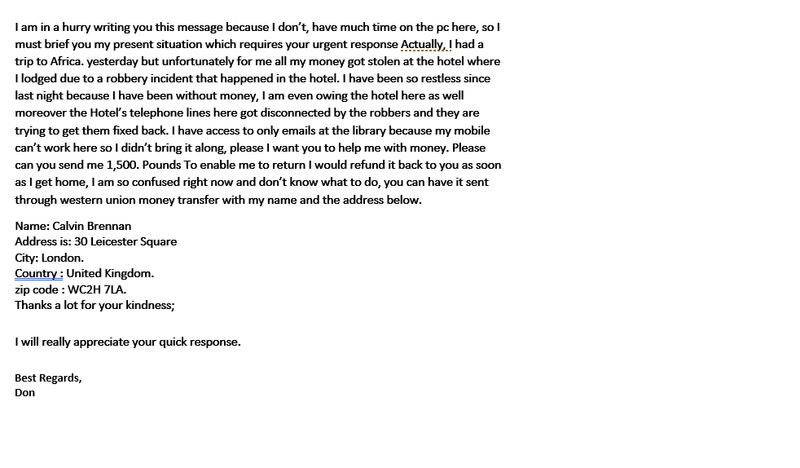 These kinds of emails are often sent to collect personal bank details of receivers. These scams can be identified in various forms including a story of government owe legal inheritance, foreign royalty, lucky draw concept with the quick rich scheme. Spoofers are smart enough to sometimes get hold of your personal family information. They use the information to get hold of a promising amount by showing “family urgency”. For an instance, email sent in the name of a close relative where the content revolves around showing urgency in the form of health or financial crunch. Filter your spam: Train your spam filter in such a way that it will release a red flag for every form of spam detection. Simply configure the setting and action to improvise the performance. In Gmail, you will see a Report Spam text at the top of the page. Click it to spam filter your mailbox. While on the other hand, you will come across your important emails being stacked in the spam folder, just go to the folder and click on “NOT SPAM “button. Unsubscribe unnecessary newsletters: Unwanted newsletters just fills in your inbox. Rather than deleting it one by one every time it appears just open the newsletter and scroll to find out unsubscribe button. For Gmail users, you will get to see the unsubscribe text in the body text. Alternate email address: Separate your personal and professional email account. In a public forum never disclose your professional account as you must deal with the messy inbox. For advertisement, offers, trendy deals create a separate email account. With the growing trend of ‘Email Marketing’ spoof emails are also inclining at the same pace. Many innocent email receivers have become the victim of several fraudulent acts. We inform our users to fully utilize the above-mentioned tips and tricks to get hold of spam emails.